ASTM B409 / UNS N08800-N08810-N08811 / DIN 1.4876-1.4958-1.4876-1.4859. Incoloy 800 Sheets, ASTM B409 Incoloy 800H Hot Rolled Plate, UNS N08800 Sheets and Coils, Incoloy 800 Coils, DIN 1.4958 / 1.4876 Plates and Coils, WERKSTOFF NR. 1.4876 Sheets, Plates & Coils, UNS N08810 Sheets and Plates, Incoloy 800 Plates, WERKSTOFF NR. 1.4859 Sheets & Plates, UNS N08811 plates and Coils, Incoloy 800HT Cold Rolled Sheet, Plates & Coils Supplier in Mumbai, India. Incoloy Alloy 800H Export Polish Sheets, Incoloy Alloy 800 Slitting Coils, Incoloy 800HT Diamond Plate, Incoloy 800 Chequered Plate, Incoloy 800H Shim Sheet, Incoloy 800 Foils, Incoloy Alloy 800HT Polished Plates, Incoloy 800 Strip, Plates & Coils Exporter, Incoloy 800 Circle, Incoloy 800 Galvanized Coils, Incoloy 800HT Perforated Sheet, Corrosion Resistance Incoloy 800T Sheets & Plates, Incoloy 800 Plain Sheets. Incoloy 800 alloy is chromium-nickel alloy that is having the high tensile strength and good resistance. Incoloy 800H / 800HT is chromium-nickel-iron alloy. Jayesh metal is the top leading stockiest and supplier of the stunning quality of Incoloy 800 / 800H / 800HT Sheets Plates. The industry is providing the item in various specifications as per the demand of the buyer. The feature that has made the item to be very high in demand is rugged construction, high tensile strength, high flexibility, high durability, anti-corrosive etc. 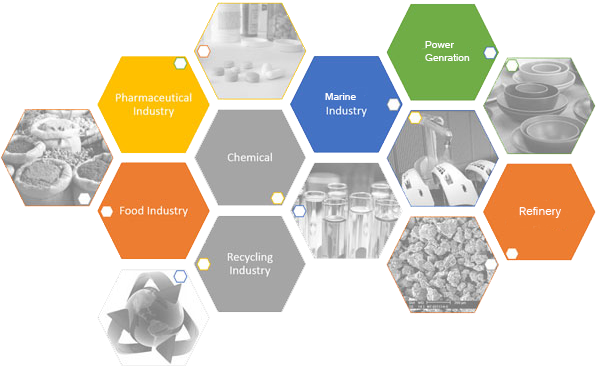 Furthermore it because of being highly resistance to carburization and nitridation, the item is used in various applications. With respect to both national and international product standard, the item is supplied to buyers at reasonable rates. The dimensions of it are ASTM, ASME, ANSI, JIS, DIN, EN, BS, GB etc. The specifications of it are AMS 5877, ASME SB 409. The forms of it are the chequered plate, shim sheet, perforated sheet, flats, and strips, blank, ring etc. The thickness of it is available in 0.1mm to 12mm THK. The size in which it is available is 15Nb to 150NB IN. The finishes of it are the hot rolled plate, SATIN, cold rolled plate, 2B, 2D, BA, No8. The producers are offering MTC in accordance to EN 10204 3.1/3.2, third-party inspection report, lab test report etc. The item is packed carefully in wooden boxes or crates, carton box etc. This makes the item to be shipped with full safety and precautions from damages. Just buy it at reasonable rates. 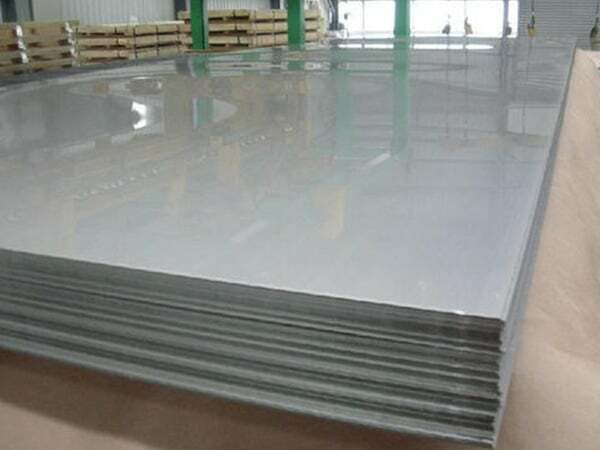 incoloy alloy 800 hot rolled plates dealers, incoloy 800h Sheet exporter in India, incoloy alloy cold rolled plate supplier, galvanized incoloy coil prices, galvalume incoloy alloy coil, incoloy 800 coil manufaturer in India, incoloy cold rolled coils supplier, cold rolled incoloy alloy 800 coils mechanical properties, incoloy 800ht sheet manufaturer in India, incoloy alloy 800h blank suppliers, incoloy alloy 800 Plate price list, astm B409 incoloy alloy 800ht circles exporter, incoloy 800ht plate price list, incoloy 800 sheets price, 26 gauge incoloy coil, incoloy 800 sheet exporter in mumbai, 800h incoloy plates, incoloy alloy plates price india, 800h incoloy sheet, incoloy coils exporter in india, hot dipped galvanized incoloy alloy coils, 800 sheets specification, incoloy alloy 800ht Sheet Supplier in India, 800 incoloy coils, hot rolled coil uses, incoloy alloy 800ht coils price list, pre painted incoloy 800 coil suppliers, incoloy alloy 800 shim sheets, incoloy 800ht profile dealers, incoloy 800 coils exporter in mumbai, incoloy alloy 800 hot rolled plate stocks, incoloy 800h Sheet manufaturer in mumbai, incoloy 800 sheet supplier in mumbai, incoloy 800ht cold rolled sheet distributors, incoloy alloy 800h coils weight, incoloy plates exporter in india, incoloy alloy 800ht sheet price list. Mexico, Hungary, Algeria, Chile, Greece, Netherlands, Iran, Ecuador, Bhutan, Ukraine, France, Nigeria, Poland, Sweden, Switzerland, Kuwait, United Arab Emirates, Singapore, Afghanistan, Angola, Sri Lanka, Canada, Kenya, Slovakia, Lithuania, Malaysia, Belarus, Zimbabwe, Israel, Mongolia, Finland, Yemen, Macau, Namibia, Nepal, Germany, Bolivia, South Korea, Croatia, Russia, Saudi Arabia, India, Romania, Taiwan, Estonia, Serbia, Japan, Gambia, Peru, Azerbaijan, Trinidad & Tobago, Tunisia, Austria, Venezuela, Bahrain, Tibet, Australia, Egypt, Qatar, Gabon, Colombia, Puerto Rico, Turkey, Kazakhstan, Italy, Hong Kong, Denmark, Oman, Czech Republic, New Zealand, Vietnam, Portugal, Morocco, Spain, Norway, Bangladesh, South Africa, Philippines, Jordan, China, Nigeria, Iraq, Belgium, Lebanon, Bulgaria, Costa Rica, Indonesia, Ireland, Thailand, United States, Libya, Brazil, Argentina, Ghana, United Kingdom. New Delhi, Colombo, Sharjah, Hanoi, Pimpri-Chinchwad, Ahvaz, Jeddah, Caracas, Ankara, Faridabad, Kuala Lumpur, Riyadh, London, Brisbane, Rio de Janeiro, Perth, Chandigarh, Howrah, Cairo, Al Khobar, Mumbai, Noida, Gurgaon, Dammam, Ahmedabad, Thane, Tehran, Ranchi, Port-of-Spain, Abu Dhabi, Madrid, Bangkok, Coimbatore, Jamshedpur, Bhopal, Busan, Doha, Visakhapatnam, Bengaluru, Toronto, Haryana, Secunderabad, Algiers, Sydney, Manama, Ernakulam, Lahore, Petaling Jaya, La Victoria, Granada, Al Jubail, Hyderabad, Los Angeles, Ho Chi Minh City, Houston, Melbourne, Montreal, Dubai, Indore, Singapore, Geoje-si, Moscow, Ulsan, Nashik, Ludhiana, Surat, Istanbul, Aberdeen, Kuwait City, Karachi, Edmonton, Bogota, Rajkot, Vadodara, Calgary, Jakarta, Chennai, Navi Mumbai, Vung Tau, Lagos, Courbevoie, Milan, Atyrau, Dallas, Hong Kong, Santiago, Chiyoda, Seoul, Gimhae-si, Mexico City, Kolkata, Nagpur, Muscat, Thiruvananthapuram, Baroda, New York, Jaipur, Kanpur, Pune.